I have two problems today, dear readers. First, how is one supposed to do a photoshoot of a swimsuit if all the pools are closed in early August?? Anyone opposed to seeing a swimsuit photographed in the woods? Second, and more importantly, how do you set neon colors in fabrics that keep bleeding?? Both the lace and the lining are nylon/spandex blends. I prewashed on cold and hung to dry. The finished suit bled onto a bamboo swaddle blanket after being in a pool. 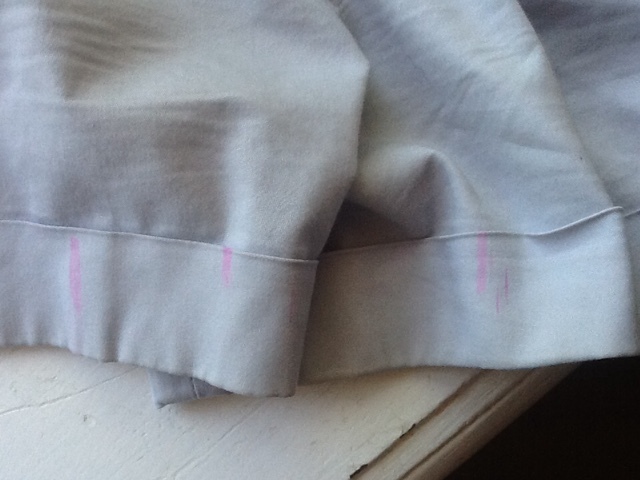 The pink washed out of the blanket. I washed the suit again on cold with a little vinegar and hung to dry. It bled again onto some cotton shorts after being rinsed in a sink with plain water. Please tell me I didn't sew an unwearable swimsuit! Haaaaaaalp! I am so sad about that pink suit. I guess you have to wear it and look glamorous on deck.